Bicep Curls & Jack3d – Get your Flex On! Biceps are Great, But We Have a Free FULL Workout Below! Biceps are the most noticeable muscles on the human arm. Its latin name, Biceps Brachii, means two headed which refers to the two muscle bundles that make up this arm muscle. The two bundles originate at different points on your shoulder and join together on your elbow. Because these muscles are easily noticeable most people will actually feel for these muscles whenever you flex your arm. If you lift regularly (see our main weight lifting article) you can make these very useful and attractive muscles stronger and look great. To strengthen and develop your biceps you typically do bicep curls, which target the biceps brachii muscles of the arms. First, we want you to know that sitting around and doing curls and arm exercises all day long will NOT effectively make you much bigger. You must do full-body, compound exercises, such as deadlifts, squats, pullups, dips, bench press, and variations of bench/deadlifts/squats. Working arms does not trigger the anabolic responses it takes to get big. Second, it’s still about eating big if you want your muscles to grow. We’re going to show you why a pre workout supplement like Jack3d will give your arms a better pump in the gym, but it’s still up to you to eat right and KEEP that pump. If you need a FULL workout and diet plan, see the one provided all the way on the bottom of this page! Otherwise, read on about two of our favorite things – biceps and Jack3d! There are many variations and equipment available for bicep curls, however the exercise usually involves holding the weight in your hands and bringing it to your torso. The resulting movement is the curling of the forearms toward the body, hence the name. This exercise uses the strength of the biceps and to stimulate their growth its best to use different variations of the bicep curls with different equipment that way your biceps cant adjust to a routine and the muscles keep growing. This exercise can be done standing, sitting down, or on a weighted bench. Although for beginners its best to start with seated dumbbell curls to avoid injury, cheating, and/or swinging. Now, the exercise starts with your arms fully extended and your hands holding the weights in a supine grip (face upward). From this position lift the weight in an upward arc until youve reached the maximum point where no further movement is possible. Once reached you then extend your arm back to the starting position. One contraction and extension forms one repetition of the exercise. Biceps can be trained using dumbbells, barbells, cable machines and the E-Z Bar/Bent Bar. Each piece of equipment allows different grips and holds that target the 2 bicep muscle bundles. Dumbbells are great for exercising the full motion of the arm, but they tend to exercise only one part. On the other hand the bars and cables exercise both areas. These exercise variations are meant to shift some of the weight off the biceps and exercise the other arm muscles while targeting specific areas of the biceps. They are usually done with adjustable benches or by changing positions that allow you to extend or flex your shoulders while doing bicep curls. The two most popular variations are the Isolation or Concentration curls and the Incline Dumbell Curls. Grips on the other hand refer to how you hold the equipment. The traditional bicep curls are done with a supinated grip which is meant to target the biceps only, however by altering the grip you can actually exercise your forearms as well. Some alternate grips include the hammer curls which are basically dumbbell curls done with the palm facing inward and the reverse curl with the palms facing outward. Lastly to get the best bicep growth while targeting other areas of your body you can do pull-ups and bent over rows. These same workouts burn a lot of fat and target a lot of major muscles in the human body. 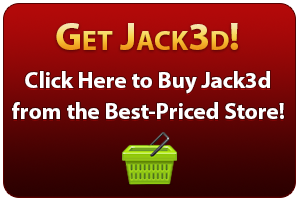 Take Your Biceps Curls to the Next Level with Jack3d! But if you really want to burn fat and grow those biceps in a safe, fast and efficient way then we suggest taking Jack3d, the best pre-workout supplement on the market for over two years running! Jack3d is loaded with compounds guaranteed to give you increased strength, focus and muscle growth for your workouts. Customers keep on buying and recommending Jack3d because it gives results without those nasty side effects like bloating, shaking and nausea. Jack3d is known to work with many researches and testimonies solidifying its status as one of the top pre-workout supplements on the market. The reason its so great is because all the necessary ingredients without the excess fillers that can be detrimental to your workout. This component triggers nitric oxide production for improved blood flow of oxygen and nutrient delivery, resulting in a strength boost for your gym sessions. An efficient, effective and proven muscle builder used to get the maximum gains from your workout. Some people dispute the effectiveness of creatine citing negative side effects like diarhea and dehydration, but Creatine Monohydrate is a proven safe muscle builder that has been used time and again. Some people say that Beta Alanine doesnt work, but the fact is Beta Alanine increases carnosine production in the muscles causing increased endurance making you last longer. The one ingredient that is present in all but caffeine free supplements. It increases fat burn, mental acuity, enhances performances and is known to even dull pain. This rare compound increases mental focus and provides extra energy to the user. Dimethylamylamine works by stimulating your brains fight or flight response enhancing your performance for longer periods of time. This is a relatively new ingredient that comes with Jack3d, a stimulant that increases your mental performance with the added boost of making your body more susceptible to the effects of Jack3d’s other ingredients. Think of it as a drug booster that gives you the extra kick you need. Remember to take 1-3 scoops of Jack3d before your workout for unreal strength, sharp focus and unlimited stamina. We guarantee that with Jack3d you’ll get the most results in the least amount of time. I can almost guarantee that this is what you’re looking for – Fat Loss Factor, written by Marc “THE MACHINE” Lobliner, is completely free and will give you both the diet, the weight training, and some incredible cardio workouts too!